Interested in getting equipped as a professional model? Then hurry up and join the coaching session of Soli Productions Management (SPM) Inc. which will be directed by SPM owner and creative director Solitha Shortte. Soli Productions Management Inc is a modeling agency in Canada and will be in Germany for a 3 days workshop/ coaching session which will end up in a Fashion show, taking place as part of the entertainment session of the African Union Day conference on the 24th and 25th of May 2019. Click on the link for more information on the speakers. Master strong facial expression and more. Design your model proof social media profile and more. The Runway showcase takes place on the 25th of May 2019, Screening is on-going. 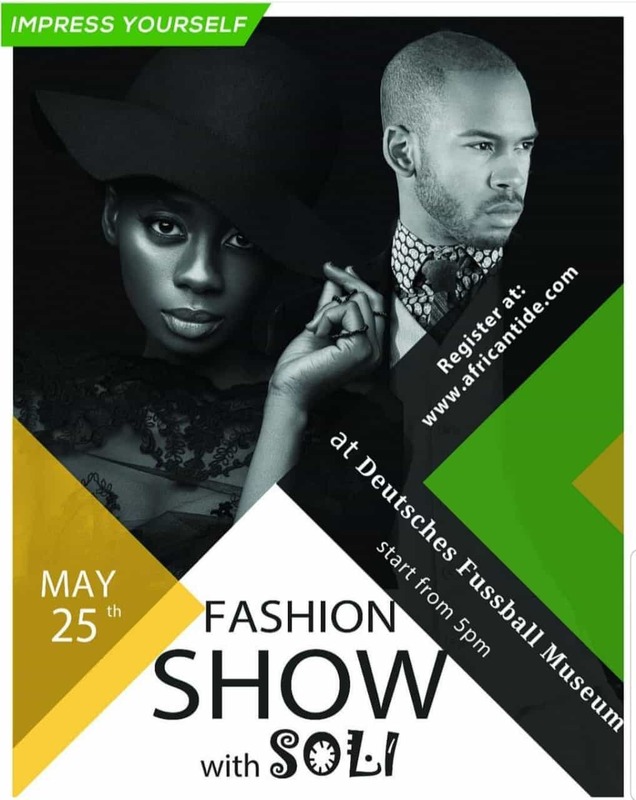 Venue: AfricanTide Competence Center Geschwister-Schollstr. 20, 44135 Dortmund.